What makes a person beautiful? The answer often depends on where you’re at. One of the most wonderful aspects of the wild diversity of culture we humans share on this planet is our incredibly diverse standards of beauty. From nation to nation, coast to coast, we humans tend to hold extremely different values when it comes to attraction, even beyond our distinctively different styles of dress. That being said, we think that a case can be made for universally appreciable beauty. We believe that, with a little cultural understanding and an open mind, anyone can stand in awe of the apex of human visual appeal from any corner of the globe. To make our case, we present the images below, sharing scores of gorgeous women from dozens of countries across the Earth. Bright colors spike the traditional dress of a woman in this European nation. Her face merely hints at a smile, but it’s enough. 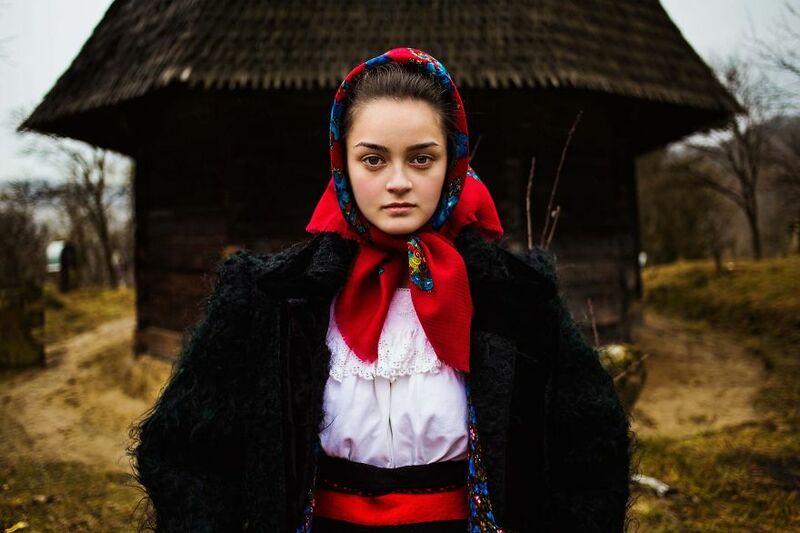 Romania is one of the most photographed countries visited for the Atlas of Beauty series, so we’ll be seeing more of it. 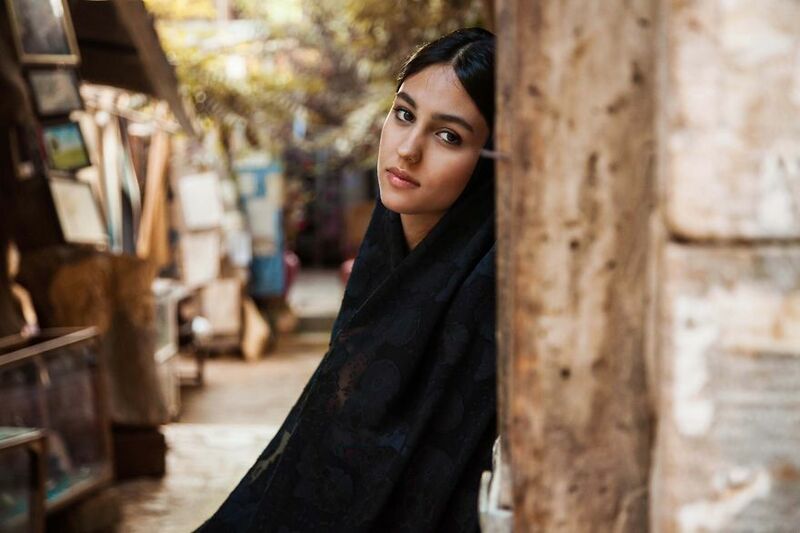 Iran is a surprisingly open country, despite what many Westerners believe. 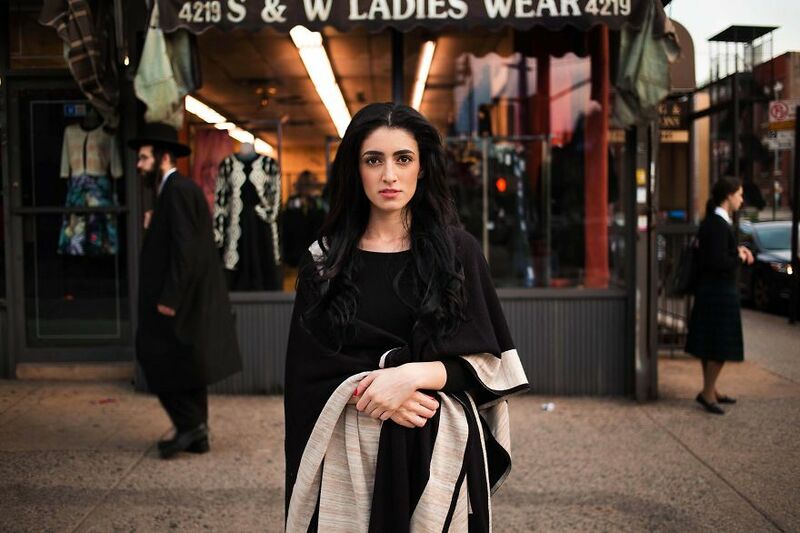 Women, of course, are not forced to cover up with conservative religious wardrobe, as this beauty proves. We encourage anyone reading this to look more into the great history and current status of Iran. While regular old China gets most of the news today, and might want us all to ignore Tibet, the disputed region where the Dalai Lama has been exiled from for years, it’s a fascinating country with wildly different cultural norms and genetic makeup from its motherland. This young woman sports a hairdo and coloring that might seem strange to Americans, but her smile gives away the timeless beauty in her appearance. We love the colorful necklaces she’s sporting! 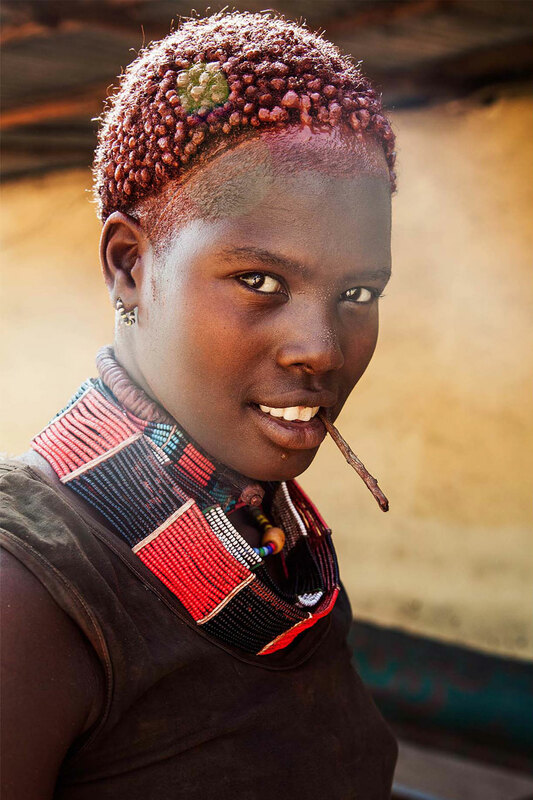 The style of dress and hair may seem exotic to Westerners, but it’s a perfect example of beauty in Ethiopia. 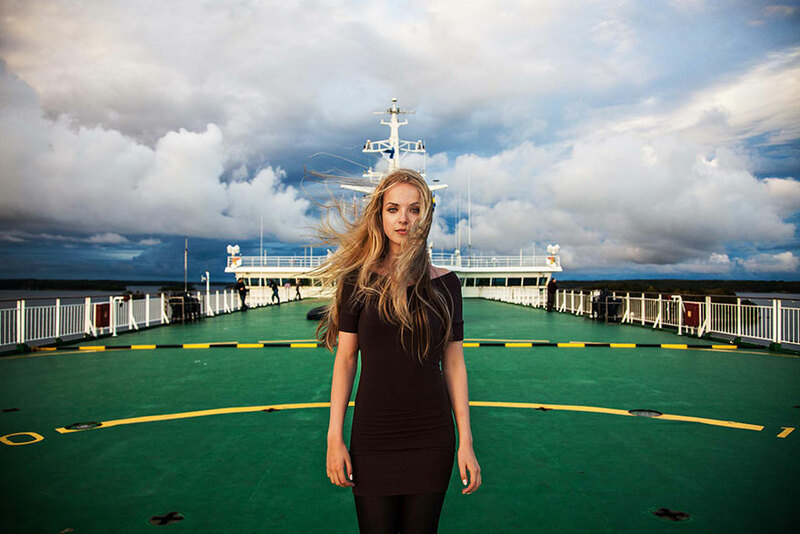 Standing on the deck of a large ship, this stark blonde beauty proves the attractive stereotype about Scandinavian women as spot on. Tall, blonde, and beautiful, she makes us wish we could visit the famed peninsula post-haste. 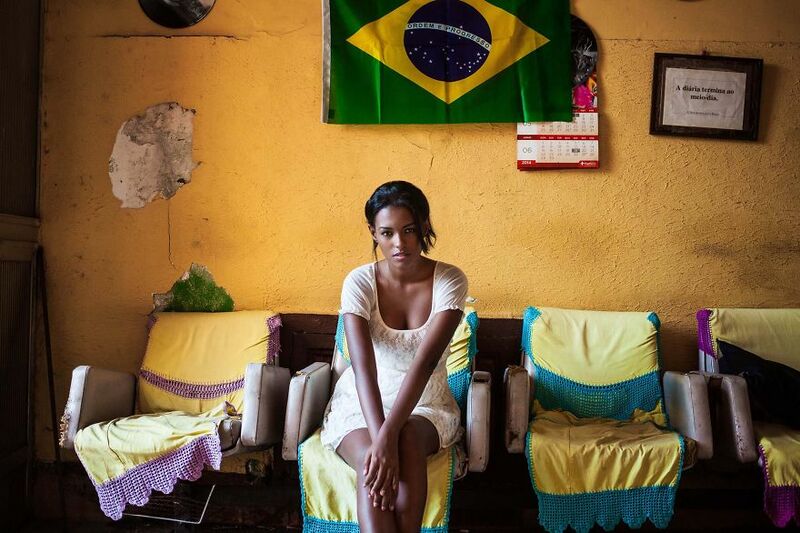 Brazil is the largest and one of the most diverse countries in South America, with an ethnic mixture as varied as the United States’. From more traditionally Latin looking folks, to people who would easily be mistaken for European ethnicity, to those with African heritage, the melting pot is diverse and beautiful. This dark haired woman appears in a simple dress, sitting below her country’s flag. Myanmar, also known as Burma to the outside world, may be occasionally ruled by a military junta, but its people are as vibrant and full of life and beauty as anywhere else on earth. The photographer emphasized how much of a peaceful calm the people here exuded, pictured here in a Buddhist temple. 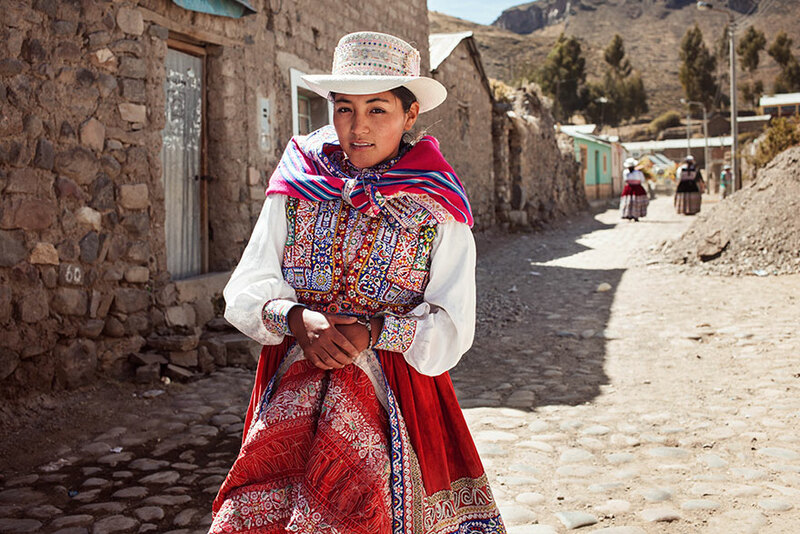 Traditional Peruvian dress is known for its bold colors and intricate patterns, and this beautiful young woman shows them off perfectly. The country spans a vast range of culture, from indigenous peoples with little contact with the outside world, to those on the bleeding edge of current fashion. 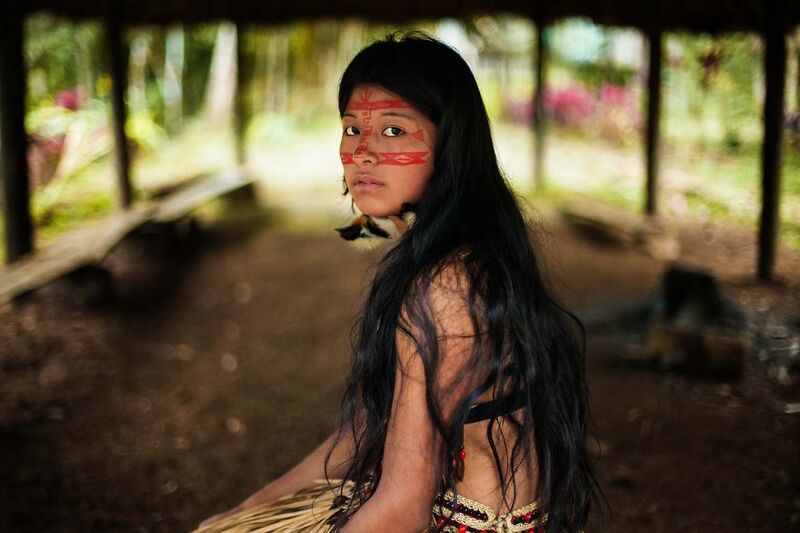 This photo shows a Kichwa woman, part of an indigenous people with traditions and styles of dress that couldn’t be further from our Western world. Along with striking facial makeup, she is wearing her traditionally styled wedding dress for the photographer. 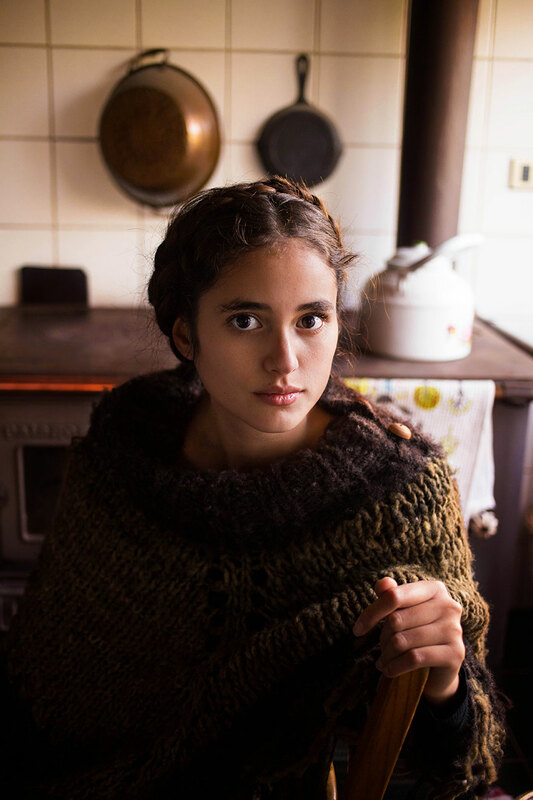 This gorgeous Chilean woman stares with her dark eyes, wearing a thick hand woven shawl. The country spans a huge range of longitude, including almost every climate known to man, from tropical to mountainous, necessitating a variety of clothing styles. If we didn’t know any better, this Latvian woman could appear virtually anywhere in the United States, but her culture and language couldn’t be more different. The dress, however, seems relatively universal. This woman’s name is Agate. 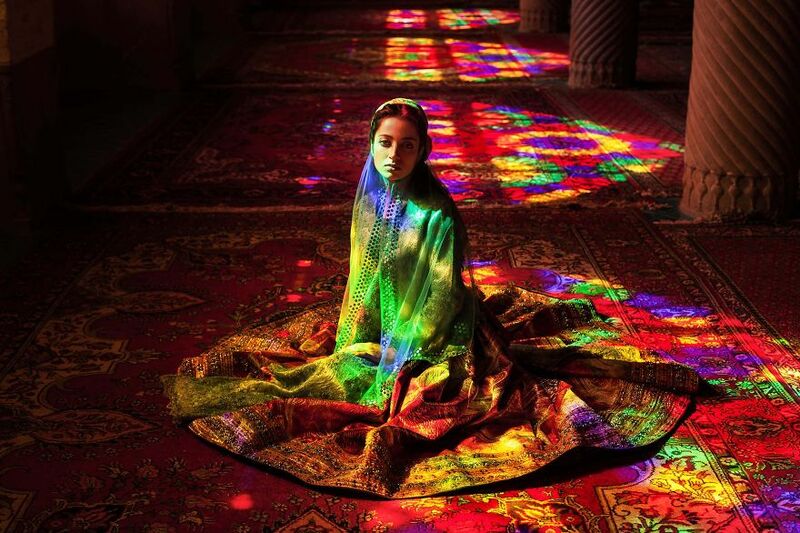 This incredibly stunning photograph showcases not only a beautiful Iranian woman, but the fascinating galaxy of colors spilling into the world famous Nasir al-Mulk mosque. Even in a traditional dress, she appears absolutely radiant, aided by the rainbows spilling through stained glass windows. Supposedly found cleaning in a hotel, this Ethiopian woman sports subtle neck tattoos and a look of divine confidence. We would too, if we were this stunning. 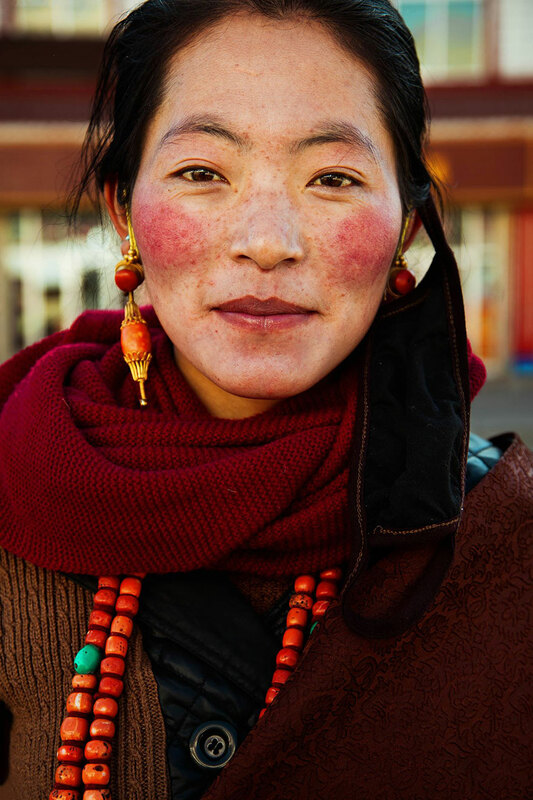 With up-close images like this, primarily focused on the face, the clothing and customs lose importance. Despite being a small island nation, Singapore is home to a wide diversity of ethnic lineages and cultural pockets. This woman displays a more traditionally Indian style of dress, including the jewelry. New York might be one of a handful of cities considered truly international, and the makeup of its citizens plays this out. Here we have a woman looking positively intercontinental; she appears to be from virtually anywhere. Of course, that makes her even more of a New Yorker!